Current State of Syndicated Loan Markets. Materials can be found here: http://www.americanbar.org/content/dam/aba/events/business_law/2016/04/spring/materials/syndicated-loans-201604.authcheckdam.pdf. 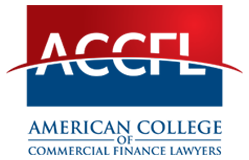 Key Considerations for LLC Membership Interest Collateral. Materials can be found here: http://www.americanbar.org/content/dam/aba/events/business_law/2016/04/spring/materials/key-considerations-201604.authcheckdam.pdf.